As one of the most beautiful communities in Utah, Provo is home to a number of elegant churches and houses of worship. Many historic churches and temples contain stained glass windows that are both beautiful and valuable for cultural reasons. Church stained glass restoration in Provo is the first step in preserving weakened or damaged antique stained glass art. Through this intensive process, stained glass windows are given renewed strength and beauty. Cleaning reveals the intricate details of the paint and textures and allows colors to resume their vivid hue while repairs mend structural issues that have caused the stained glass to degrade. Our company is extremely well versed in this delicate process and would be happy to talk to your Provo church about your stained glass restoration needs. 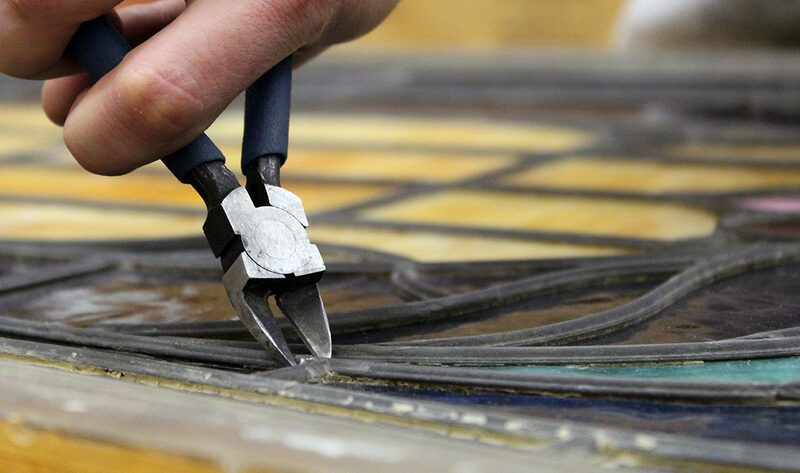 The first step in restoring your church’s beautiful stained glass is an onsite inspection. Visiting your church allows us to conduct a thorough visual inspection of your stained glass so we can understand what issues caused the damage or deterioration. Once we’ve inspected each window from top to bottom, we’ll compile a comprehensive report that will include all identified issues, a plan of action for fixing them, and a price estimate. Once you’ve made the official decision to proceed with the restoration, we’ll begin the actual process of making repairs. To reduce costs and prevent interruption to your normal routine, we’ll try to complete as many repairs as we can onsite. 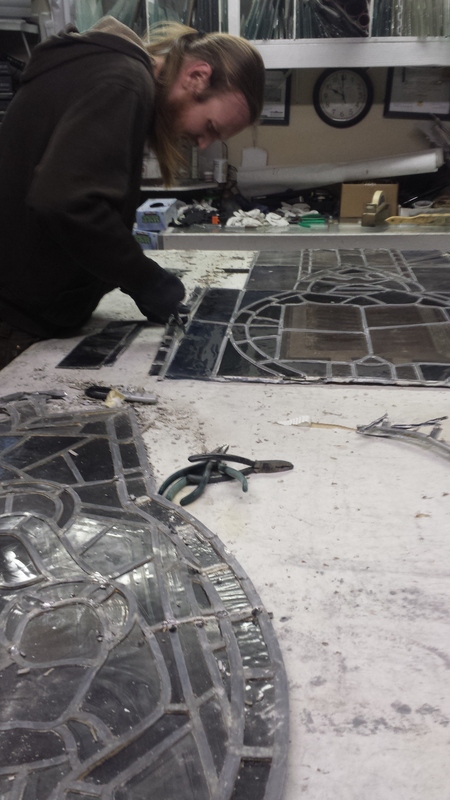 However, sometimes it is necessary for repairs to be completed off site, for the safety of your stained glass. In this case, we will carefully chisel away the putty material holding the stained glass in place, remove it, and bring it to our studio.  When making a plan for the repairs, we assess each project on a case by case basis. 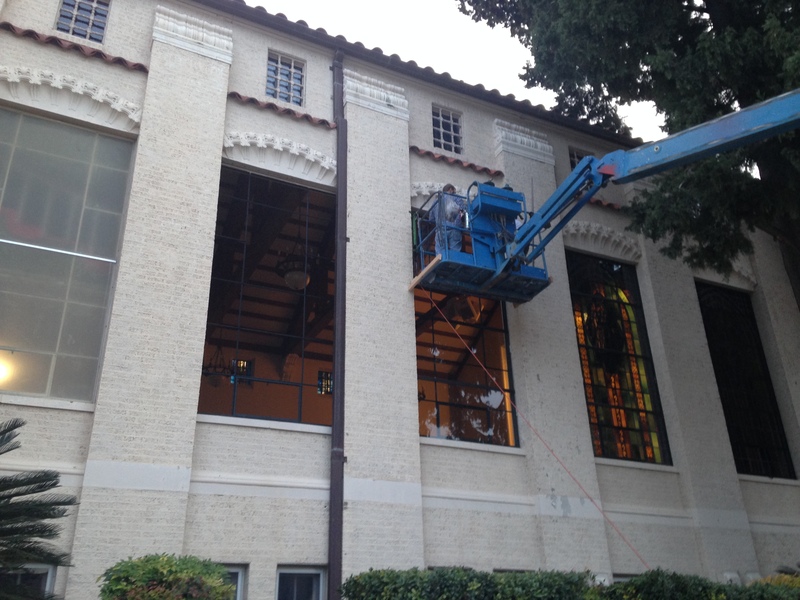 Sometimes, we will remove numerous panels at once and other times, we complete the windows one at a time. At our studio, we take the stained glass is photographed, documented, and placed in a bath of special solution to dissolve the concrete holding it together. Then, we take the window apart and lay the pieces out in their original pattern. The next step in the process is to replace the damaged lead and glass. If possible, we will reuse the original lead, but if not, we will contact our partner company to have new leading of a similar profile created. Sometimes, cracked pieces of glass can be salvaged, but if they are severely damaged, they will need to be replaced. If the glass is painted, we will work painstakingly to recreate the original details as closely as possible. Once all of this work has been finished, we reassemble the window and reinforce it using black cement and steel brace bars for added support. Finally, the stained glass is ready to be returned to your church. This is our favorite part of the process because we get to see the true beauty of the stained glass shine through once it’s reinstalled in its original setting. The stained glass is carefully reinserted in the window opening, secured, and protected using a piece of low-e safety glass. Now, your congregation can admire the beautiful artwork that makes your church or temple unique. 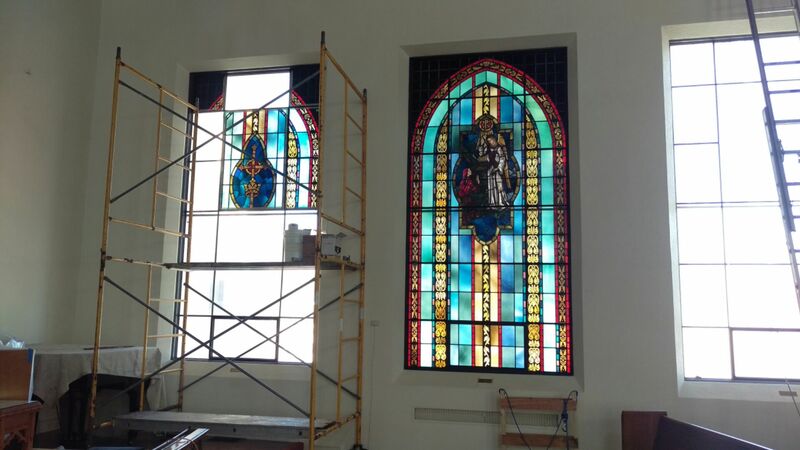 Church Stained Glass Restoration is an established stained glass repair company with locations across the nation. 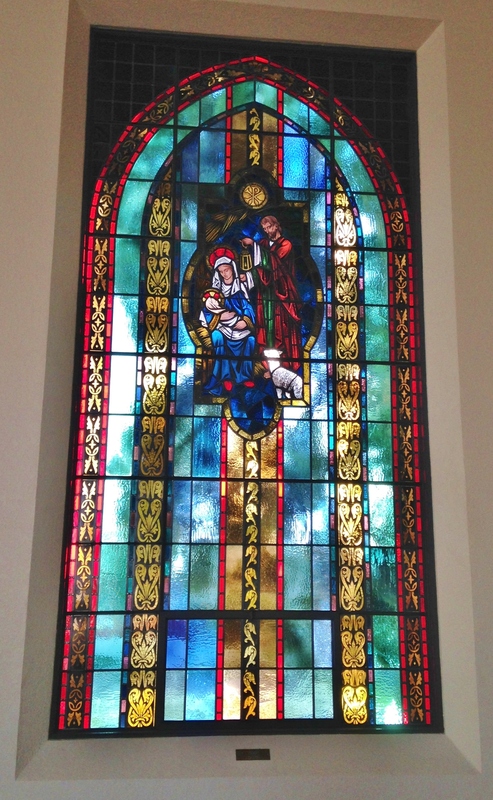 For years, we have assisted in the restoration and creation of stained glass for Provo churches, chapels, and temples. Our vast skill and experience gives us the ability to execute repairs of all complexities, ranging from minor cracks to extensive hail damage, vandalism, and severe deterioration. For more information on our services or to schedule a consultation for stained glass restoration in Provo, please contact our team.